Protect that vital PLASTIC fuel tank!!! You could be in for a LONG walk otherwise!! 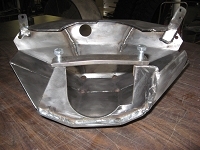 •Let our 3/16" thick LASER cut steel- CNC press brake formed beef protect your fuel tank. •Bolts on to existing mounting points with no welding or fabricating required. •Rocks stumps and lesser vehicles have nothing to catch on. •Edges are formed for strength and rigidity with gaps to allow for ease of cleaning and mud removal. 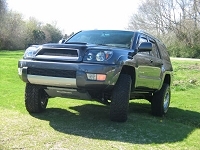 •BudBuilt skids are shipped with professional finishing, making them easy to handle.